What Happens with Too Much Copper in the Body? We have all heard about the importance of getting enough vitamins and minerals in our diet. Sometimes, we even supplement certain nutrients with pills or powders. But, can we go overboard? When does too much of a good thing – become a bad thing? For example, what happens if there is too much copper in body? This article discusses copper, a somewhat uncommon trace mineral, and its role in the body. 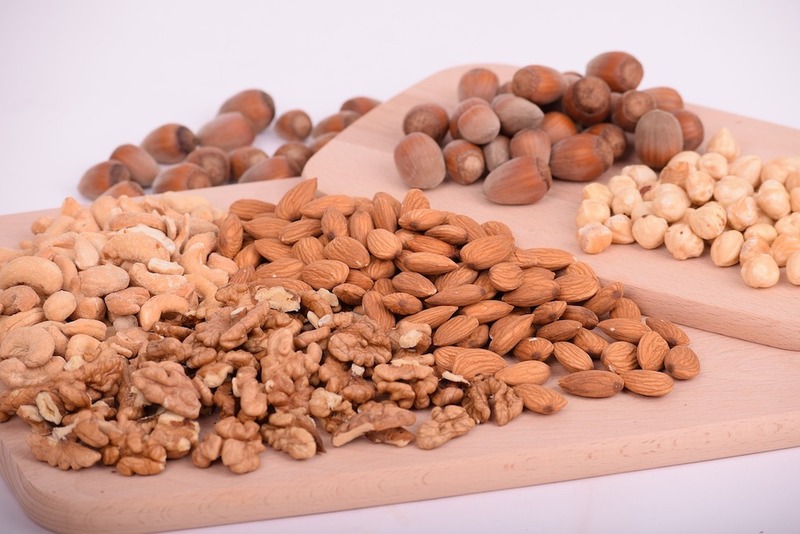 We review which foods have copper, various copper deficiency symptoms, copper toxicity, and how to avoid copper toxicity symptoms. Copper is an essential trace mineral found naturally in certain foods and present in all body tissues. It benefits our bone, nerve, and skeletal health. Since copper is classified as a “trace” mineral, we don’t need too much per day in order to optimize our health. In fact, the Recommended Daily Allowance (RDA) of copper for adults is just 0.9 milligrams (mg) per day. Requirements for copper increase slightly with pregnancy, up to 1.0 mg per day, and even further with breastfeeding mothers (1.3 mg per day). In America, most people meet this daily recommendation, with average intake of copper around 1.0 to 1.6 mg per day. Copper helps transport iron to the bone marrow, where it integrates into our red blood cells production. It also boosts iron absorption in the intestines, and is required for the release of stored iron. Copper is required to convert our brain neurotransmitter, dopamine, into another important neurotransmitter called norepinephrine. These neurotransmitters are all required to maintain and regulate our mood. Copper boosts the activity of a few vital antioxidants in the body. Antioxidants help neutralize and remove free radicals – dangerous chemicals that cause cell damage! Copper activates the activity of, arguably, one of the most powerful antioxidant enzymes in the body called superoxide dismutase. Our connective tissue requires copper to maintain collagen and elastin, two major structural compounds in our bodies. For this reason, many arthritis sufferers choose to wear copper bracelets because of the suspected benefit for reducing arthritic pain. On the same note, the enzyme that helps to form strong and flexible connective tissue also requires copper to maintain and strengthen bone formation. By enhancing a major enzyme that converts oxygen to water, copper helps create an electrical gradient required to make a molecule called “AT.P” This molecule is what all of our cells use for energy! In general, stand-alone copper supplements are not usually necessary, and may actually do more harm than good! However, some people require supplementation, recommended by their doctor. For instance, anemia unresponsive to iron infusions may indicate a trial of copper supplementation to rule out copper deficiency as a cause of iron deficiency. Some multivitamins may contain copper. BUT, as a rule of thumb, a multivitamin shouldn’t supply more than 100 percent of the daily value for copper as a precaution to prevent copper toxicity symptoms. Copper is required for iron to be absorbed by the intestines (4). This mineral is also required in order for the body to release stored iron for use, and to incorporate iron into hemoglobin (a protein in your red blood cells)(5). If less iron is absorbed, the body could eventually fall into iron deficiency anemia. Your body needs iron to make healthy red blood cells. Without enough iron, the body does not have enough red blood cells to transport oxygen to all of your body parts. Thus, your body has to work a lot harder to produce the energy it needs, leaving you feeling tired all the time! Adequate copper in the diet is vital for the growth and development of our bones (6). Researchers suspect that copper may help the body create more osteoblasts – cells that make and maintain the bone matrix. So, one of the copper deficiency symptoms may include weak bone structure. Although we can’t say for sure that copper deficiency causes osteoporosis, a large research review found that low levels of copper in the blood was a risk factor for developing osteoporosis (7). The third most common copper deficiency symptom is an increased susceptibility to infection, i.e. you get sick a lot. Copper plays an important role for our immune system. Although scientists are not quite sure how copper supports the immune system yet, they do know that copper deficiency may cause a low white blood cell count (1). White blood cells help the body fight infection and other diseases. What Causes Copper Deficiency and who is at Risk? True copper deficiency is not very common in developed nations due to adequate intake through diet. Rather, copper deficiency symptoms are much more common in third world populations, where malnutrition is prevalent. In this case, their copper deficiency is likely caused by overall poor intake of calories and copper containing foods in general. Some medical conditions may put you at a higher risk for copper deficiencies. Many digestive disorders, like Crohn’s disease, untreated Celiac disease, or short gut syndrome, impair the body’s ability to absorb certain nutrients. In these cases, people with GI disease may be at a higher risk for developing copper deficiency symptoms. Excessive amounts of zinc in the diet can decrease copper absorption and lead to copper deficiency symptoms as well. Supplementing with zinc intakes of 50 mg per day or more for extended periods may cause a copper deficiency. This is because zinc competes with copper absorption in the intestinal cells (and usually loses!). Although a required mineral for the body, copper is toxic in larger amounts. The liver is responsible, among other things, for filtering extra copper out of the body. By releasing it into the bile, our GI tract eliminates it through stool (8). Our body is pretty smart, so in general, it maintains a tight control of copper balance from day to day! For example, our small intestine modifies how much copper it absorbs based on how much copper we eat or take via supplements. If you take in less than 1 mg of copper (just around the daily recommendation) per day, absorption may be over 50 percent. But, if your copper intake is over 5 mg per day, it will lower the absorption rate to less than 20 percent (9). These feedback mechanisms are all in place to try to prevent copper toxicity symptoms. Nevertheless, excess copper (usually through supplement use or contaminated water) may override our body’s checkpoints and cause too much copper in body. The maximum daily copper intake (also known as the upper tolerable limit) is currently set at 10 mg of copper per day (9). Who is at risk for copper toxicity? 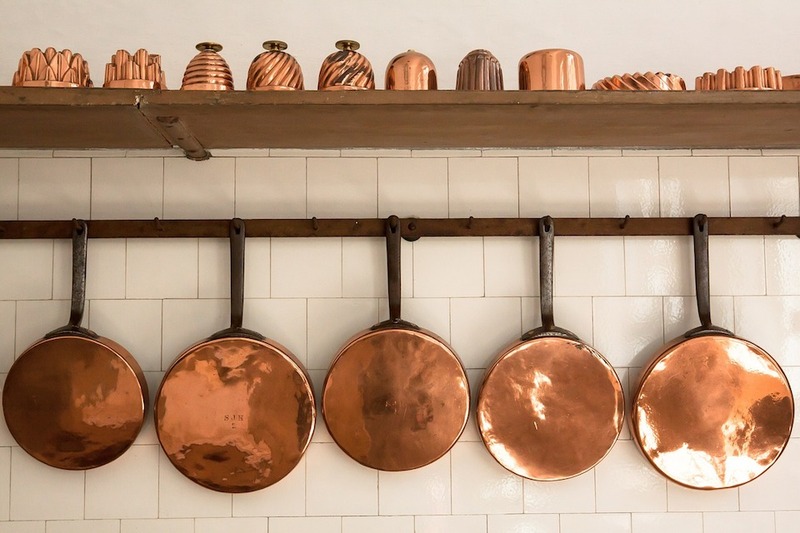 Some health conditions increase your risk of copper toxicity. For example, Wilson’s disease is a genetic disorder that causes too much copper to accumulate in the liver, brain, eyes, and other organs. Over time and left untreated, Wilson’s disease can cause life-threatening organ damage (8). Other health conditions that affect our bile production and excretion, like biliary cirrhosis of the liver, may also lead to copper toxicity symptoms. Taking unsupported copper supplements may also increase your risk for copper toxicity, especially if supplementation occurs longer term. Otherwise, your general risk of copper toxicity symptoms are relatively low. There have been a few select case studies of copper toxicity, mostly as a result of contaminated beverages (12). There is more to maintaining a healthy balance of copper in the body than just ensuring we eat enough copper-containing foods. A functioning liver and gallbladder is extremely important for our body to use and properly eliminate too much copper in body. We also need to ensure we limit dangerous exposure to copper in our environment. Here are a few ways to support the health of your liver, limit environmental exposure, and avoid copper toxicity symptoms. Cruciferous vegetables maintain liver health by enhancing both phases of liver detoxification. The cruciferous family includes foods like: broccoli, cauliflower, Brussels sprouts, kale, and cabbage. One major antioxidant in the detox process, named glutathione, is particularly helpful in eliminating excess heavy metals. Put simply, cruciferous vegetables help glutathione bind these metals for excretion (13)! Try our own 131 cauliflower potato salad for a unique and tasty way to increase your crucifers! Antioxidants help by binding to dangerous “free radicals” in the body, neutralizing and eliminating them. To prevent undesirable damage to our main copper excreting organ (the liver), we want to include lots of high antioxidant foods in our meals each day. This includes foods like: berries, turmeric, beets, spinach, pecans, artichokes, and cilantro. In order for our liver to detoxify dangerous substances, like excess metals, it has to transform these compounds into a water-soluble form. This means that one of the main ways to eliminate toxins is by peeing them out. Drinking lots of filtered water (aim for over 2 liters minimum per day) can help with this process. Try our 131 Hydration System as a way to stay accountable to your hydration goals. Check the Copper Levels in your Water. On the same note, ensure the water you drink is safe! Many older homes still have copper plumbing. If this is the case, consider using a water filter, reverse osmosis, or other water treatment before drinking. Running the the faucet water for at least 15 seconds reduces exposure. We know that misinformation is all over the place these days! Take extra precaution before buying or taking any over-the-counter supplements, especially if they contain higher levels of copper. Just like our concept in the 131 Method, vitamin supplementation is personalized. This means that what worked for your neighbor’s sister, Sally, may not work for you! If you have questions, consult a doctor or registered dietitian for more information (not the guy behind the supplement counter) – no offense, dude. 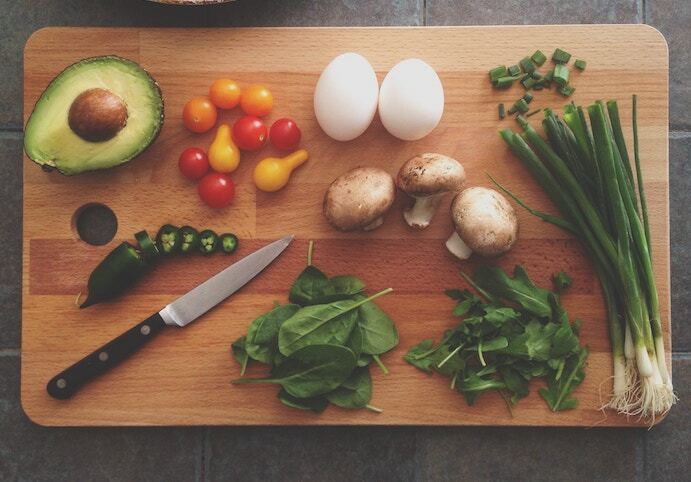 Here at the 131 Method, we believe in the power of real food. We support using food before supplementation! While most Americans meet the recommended daily amounts for copper, be aware of this important mineral, and what foods contain it. Maintaining a food-first philosophy protects against unwanted copper toxicity symptoms, plus nourishes our body in other amazing ways. Aim to support your whole health with nutritious foods, liver supporting nutrients, and lots of (filtered) water!